Many apps and services that are available for Android can only work if they have access to your Google account. 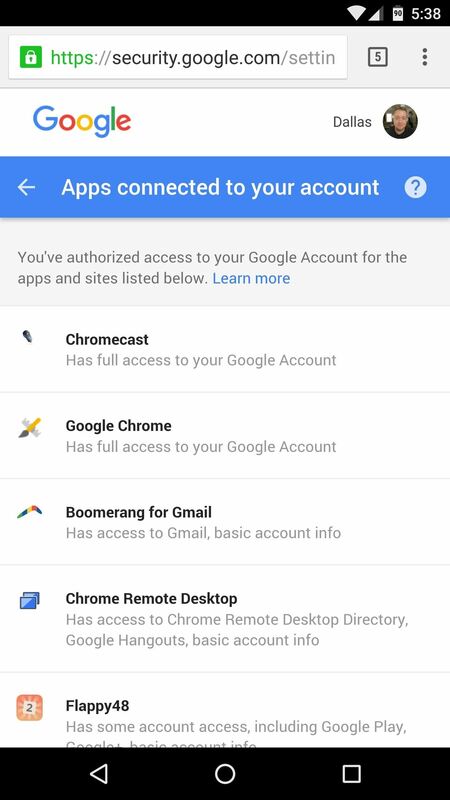 While you're setting up one of these apps, you'll see a popup that says something like "This app would like to access your Google account," and the options are "Accept" or "Cancel." Of course we tap "Accept" here to ensure that the app will work properly, but what are the long-term repercussions of doing that? Honestly, you'll probably be fine if you let a bunch of apps access your Google account, because the most sensitive data is still private, and most app developers have no ill intentions. But as we continue to install apps on our smartphones, the list of apps that have access to our Google accounts grows, which is a bit unnerving. Perhaps you've uninstalled many of these apps, and you don't want them being able to access your Google account anymore. Or maybe the app was sold to a shady company, and you no longer trust its developer. 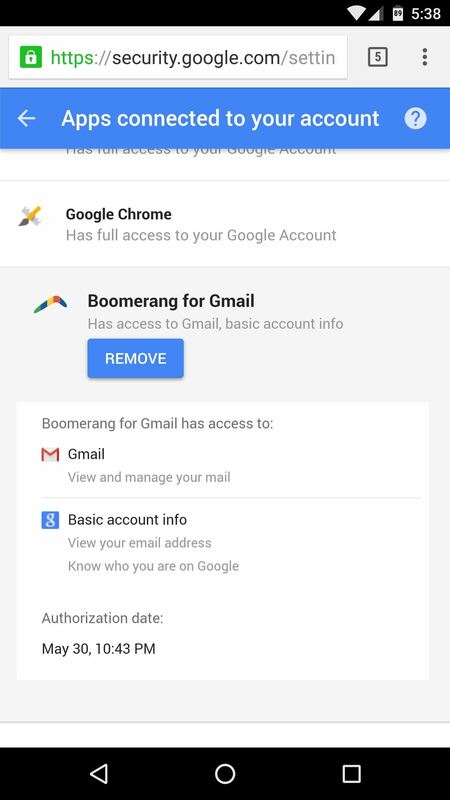 But whatever your reason, it's pretty easy to revoke permission for apps that are accessing your Google account, and I'll show you how to do it below. Really, the main thing you'll need to do here is simply visit a link. The link can be hard to find, so I'd suggest bookmarking it for later. Aside from that, just make sure you're signed in with the same Google account you use on your Android device, then head to the following link. From here, just scroll through the list and look for apps you no longer use. 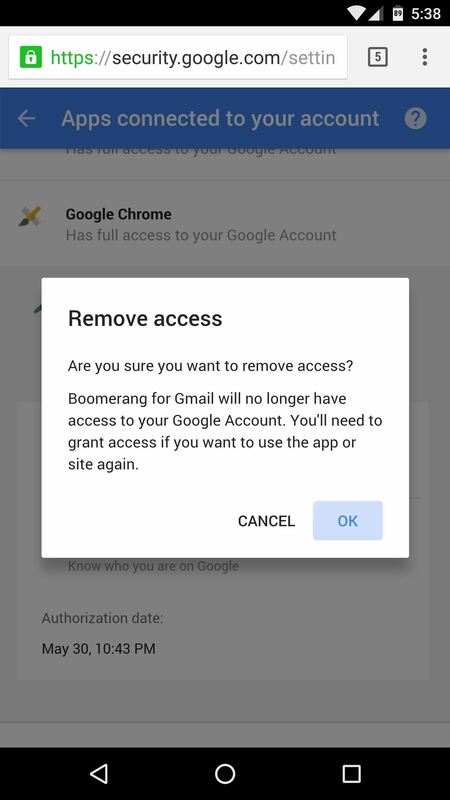 When you want to stop an app from being able to access your Google account, simply tap it in the list, select "Remove," then press "OK" when prompted. That's all there is to it—the app you just removed will no longer have access to your Google account, and you can repeat this process for any of the other apps in your list.